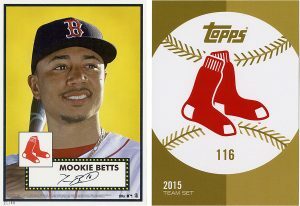 I had purchased one of those oddball 5×7 cards in the past, a 1/10 Mookie Betts to be specific, but I guess I didn’t realize Topps was just going to run with the idea for pretty much every set and/or variation. They’re selling them online, usually in sets, and dealers are buying them and breaking the set into singles. 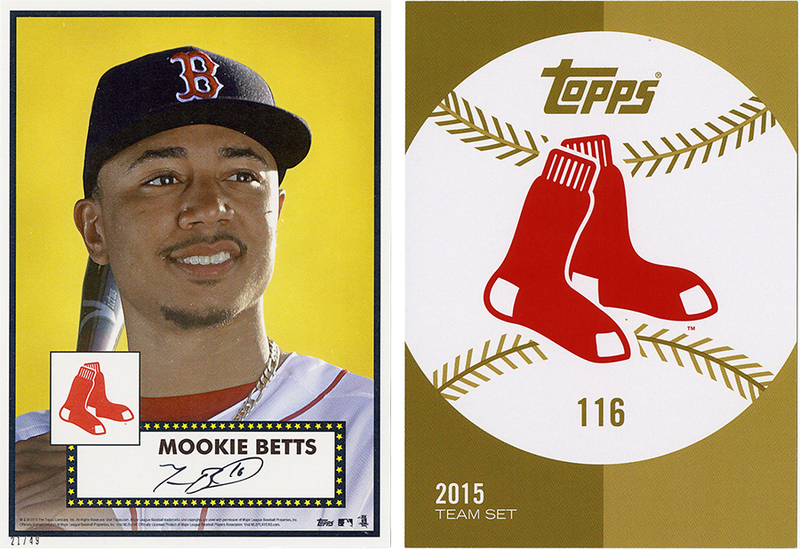 Usually I avoid oddball stuff, but when a saved search comes up with something like “Mookie Betts, 10/10, 0 bids, $0.99, 10 minutes remaining” it’s kind of hard to ignore. This one is from a “team set”, again an online exclusive. Numbered 21/49. I can actually appreciated that they didn’t go nuts printing this stuff. 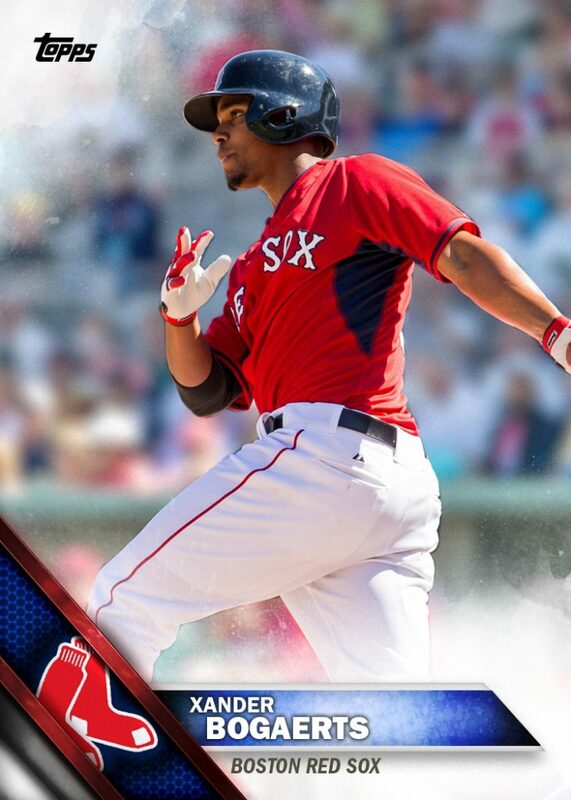 Let’s be honest, this isn’t a “baseball card” in the traditional sense, this is a “collectable”. I couldn’t help myself. 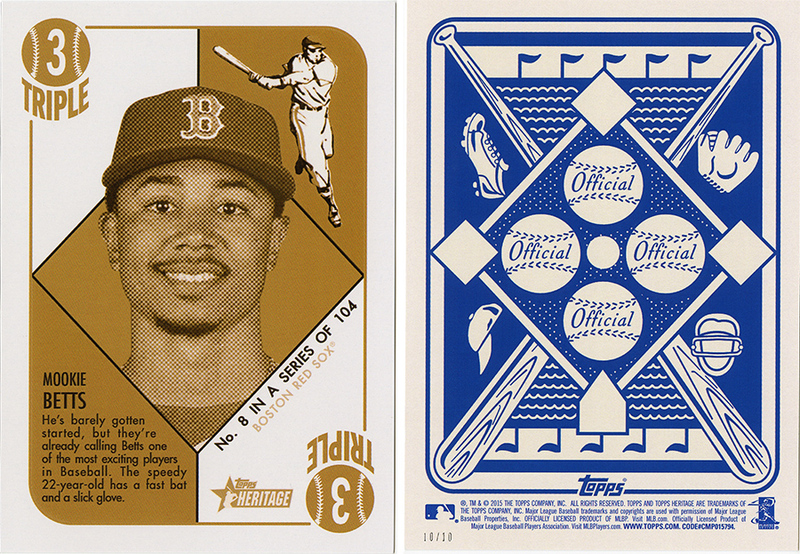 I’m not even sure what set it’s from, I’m assuming it’s an “insert” from Heritage. It’s featuring Nolan Ryan, George Springer and Mike Foltynewicz. This one is #/99. All three of these were $0.99 with combined $3 shipping. Not a bad score. I figure with Nolan Ryan (and his museum where he signs things) being about a 10 minute drive, this might be a fun “card” to get signed. I wonder if I can get all three at some point. We’ll see. Like I said, I usually don’t go crazy with things like this, but they seemed like solid pickups and the price was definitely right. To be honest, I had the remaining stack of cards from the card show (back in freakin’ February) sitting on my desk to be scanned until I moved them in an ill-fated attempt to “clean”. Never again. Organized chaos is my go-to from now on. 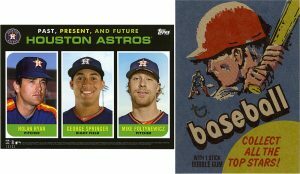 Not that anyone was waiting with baited breath to see what pitiful collection of Red Sox and Astros cards I picked up two months ago, but I scanned them anyway. Organized, no. Completionist, yes. It’s not every day you get to cross two cards off your Most Wanted list. One of these is relatively new, but impossible to find. The other has been on my want-list from the very beginning.